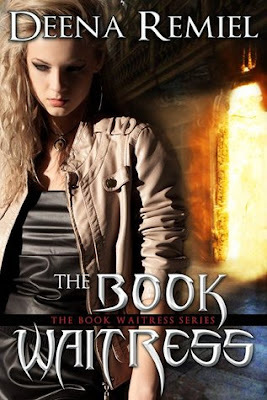 Book Review: Deena Remiel's "The Book Waitress"
5 - STARS "Serving up a deliciously creepy read..."
This is the first book I've read of Miss Remiel's and I have to say she did not disappoint. 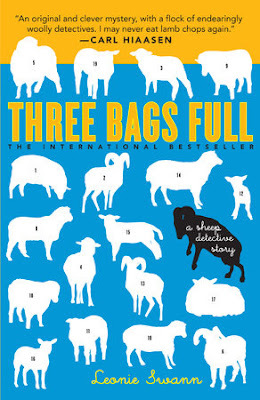 Camille Dutton is a fascinating protagonist who finds herself on an island community where she' is expected to simply work at the local library. "I'm a book waitress..." she keeps telling people. Nothing more, nothing less. She doesn't consider herself amazing or unusual. But she soon finds herself being slowly surrounded by people who seem oddly fascinated by her. Even some of the books in the library seem to have taken an odd interest in her like set of "The Devil's Handbook" which seemingly falls off the shelf of their own volition. Didn't know you could do this? Neither did I for the longest time. I only found out a couple of years ago when we released "The Vampyre Blogs - Coming Home". 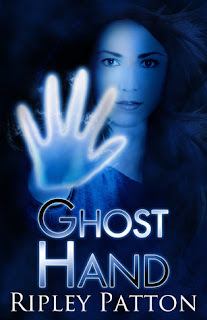 I found myself rewarding some of our beta-readers with a free copy of the finished product in whatever form they wished (trade paperback, Kindle, PDF). Most requested a signed trade paperback, but a couple asked for the Kindle version. 4 STARS - "A great read!" 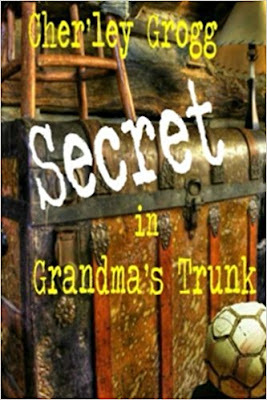 5 STARS - "A well written story collection revealing Nathan's past. Excellent!" 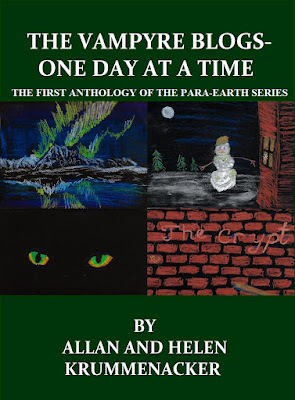 Come see what other readers are saying and take a 'Sneak Peek" for yourself by clicking the link below, and maybe check out the other books in our Para-Earth Series. 26 Tales of Para-Earth EncountersSpanning 150 years answering many questions about your favorite vampyre and his friends such as:- How did a Nathan manage to continue to serve the Union Army in the Civil War after becoming a vampyre? -Has Nathan or his friends ever met any of the characters from "The Bridge" or "The Ship"? So go ahead grab your copy today! *And remember the holidays area almost upon us and you can order Kindle books for family and friends, you can even have them delivered on a specific date such as Hanukkah, Christmas, and birthdays. 5 - STARS "What price for sanity?" Waverly Hills Sanatorium is an actual place in Louisville Kentucky that the author visited as part of a paranormal investigative team. 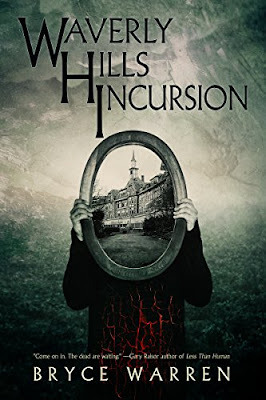 By the author's own admission their paranormal experiences where 'minimal', I feel the setting and strangeness of exploring an abandoned place with so much history lent a great deal to the creation of this novel. 4 - STARS "An Eerie Blend To Satisfy Horror Enthusiasts..."
Mix one part voodoo, one part devil worship, three parts the darker side of human nature and you get "The Haunting of Gospall". The author does a wondrous job of blending these three elements into a intricate yarn that transcends the high seas. 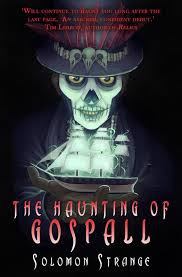 He starts us off with a brilliant opening scene upon the SS Gospall in the 1800's, showing a keen insight of what sailors and captains faced on the open waters during one of the more contentious periods between England and France. 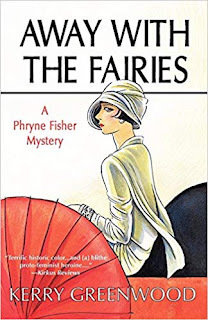 We're introduced to characters we come to admire and care deeply for, both in the 1800's and the present, as the tale unfolds and a mystery that links the two time periods slowly unfolds. And I'm back, sort of. Okay, I'm still a bit unwell, but finally on the mend. In the meantime let's continue with that discussion about some of the things I learned putting together our first anthology. First off it was somewhat easier than creating an entire novel. With a novel you have to keep track of so many things like character development, interactions, subplots, pace of the story, etc. Now with an anthology, you still have a lot of stories to contend with but each one is self-contained and has its own beginning and end. You don't have to be worried about how they fit into the main tale. Plus you can have a greater variety of characters and give each tale a flavor all its own. Sounds pretty easy so far right? Well, here's where things started to get a little more complicated for me. 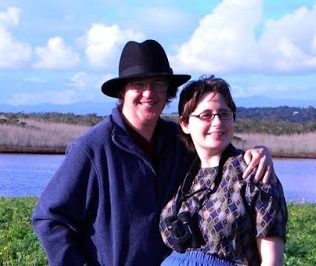 First I'd like to thank all the guest bloggers, authors, and reviewers who were so kind to supply our blog with posts. It gave me some much needed time to get some rest and help family members who had suffered a terrible loss. It also allowed us to get back to work on our anthology “The Vampyre Blogs – One Day At a Time” which will be coming out in early October, a perfect time for creepy stories and tales of encounters with strange beings. With only two stories left to be completed and edited, we will soon be lining up Beta-Readers and then doing our final edits. 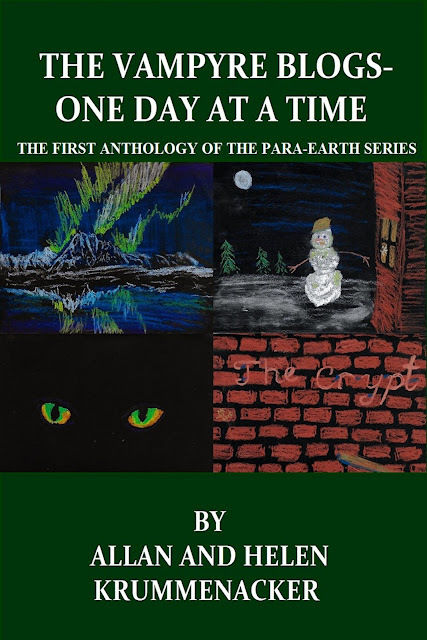 Work has also been progressing on “The Door” latest full-length novel in the Para-Earth Series, and “The Pass” the first installment in a brand new series co-written with Richard Caminiti.